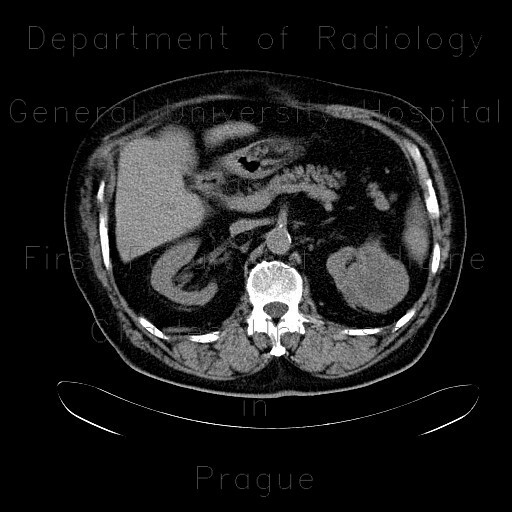 CT shows a round mass with thick enhancing rim arising from the left kidney which was confirmed renal carcinoma. The tumour was treated with RFA in several sessions. Contrast-enhanced ultrasound shows change of residual viable enhancing mass between sessions.